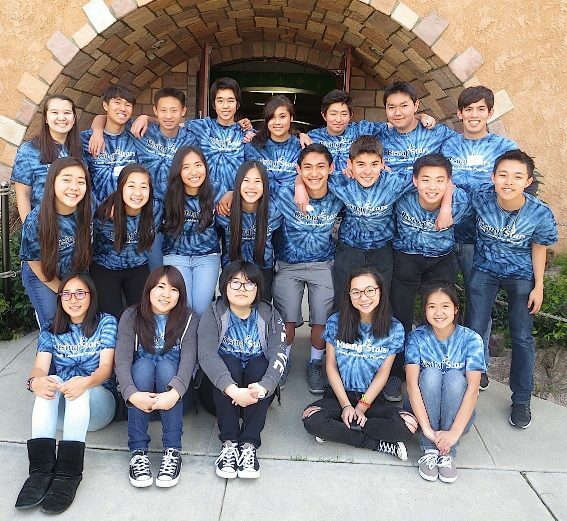 Rising Stars: (front row, from left) Rico Ozaki, Hikaru Takasugi, Tamao Takasugi, Sarah Hanashiro, Lindsey Ueda; (second row, from left) Camille Arai, Jenna Yamada, Alyssa Suzukawa, Hope Sadahiro, Nicholas Kiyohara, Dustin McKeever, Tyler Yang, Scott Lew; (back row, from left) Naomi Arnot, Matthew, Ryan Chen, Derek Toyomitsu, Kaili Inouye, Noah Miyamaae, Arthur Matsushita, Wyatt Kurumiya. 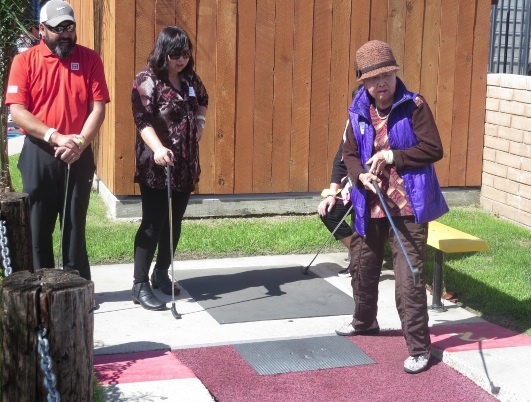 ANAHEIM — The Rising Stars Youth Leadership Program held its annual miniature golf tournament on March 12 at Camelot Golfland in Anaheim. Around 100 guests, mostly families, came out on the sunny Saturday morning to either participate in the tournament or enjoy the delicious pizza. The event, which began at around 9 a.m., had close to 60 golfers hitting the greens for a round of putt-putt. 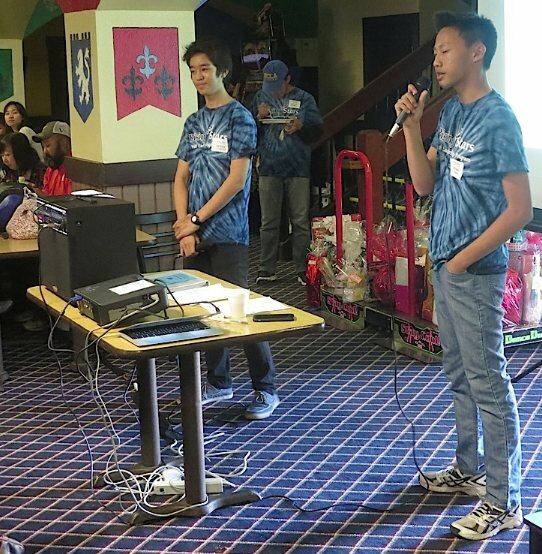 Every attendee was given the opportunity to purchase last-minute raffle tickets for $2 for the chance to win some high-tier prizes, such as a Go-Pro camera, Disneyland tickets, and the top prize of an iPad Mini. 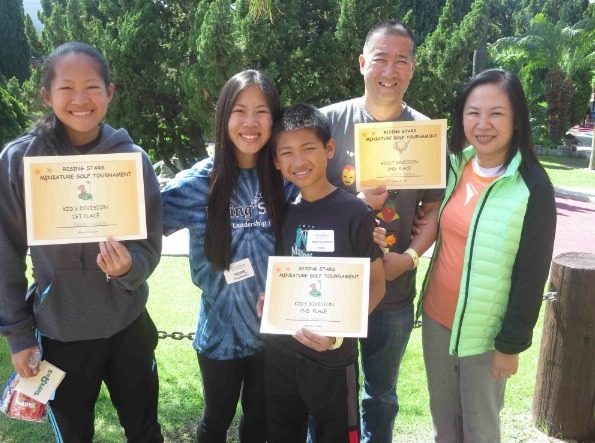 The Sadahiro family (from left): Grace Sadahiro, first place, Kids Division; Hope Sadahiro, RS 13 participant; Kana Sadahiro, second place, Kids Division; Joneyan Limpus, third place, kids division; Brodie Sadahiro, father, second place, Adult Division; Karen Sadahiro, mother. Next, the golfing the participants were invited to an all-you-can-eat pizza and salad lunch, during which the top three scorers in both the kids and adults divisions received awards. The results of the raffle were announced, with more than 100 gifts being given away. Finally, goodie bags were distributed to all participants at the end of the event. From the Kids Division of the tournament, Grace and Kara Sadahiro, siblings of current Rising Star 13 student Hope Sadahiro, received first and second place, respectively, and Joneyan Limpus was awarded third place. 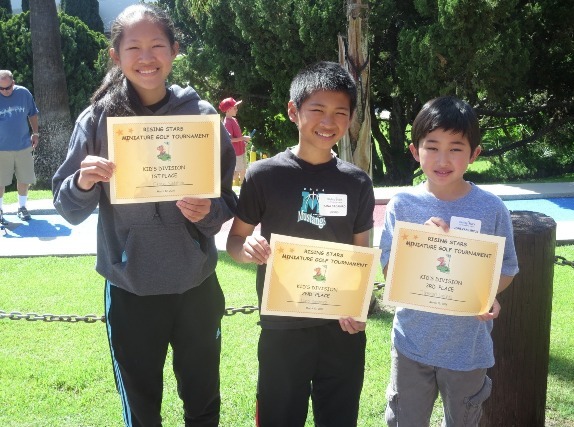 For the adults, Felix Harder won first place, Brodie Sadahiro placed second, and former Rising Stars member Taryn Iwamoto was awarded third. 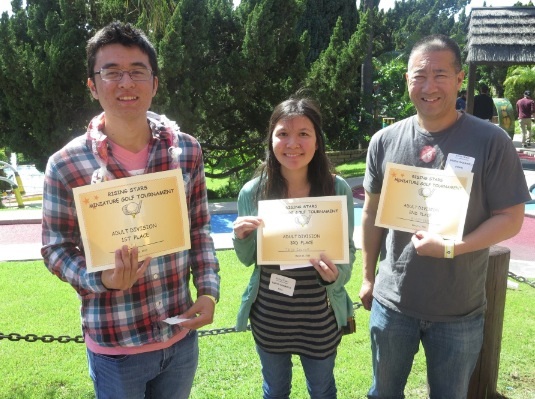 Adult winners (from left): Felix Harder, first place; Taryn Iwamoto, RS 11, third place; Brodie Sadahiro, second place. Her father, Brodie, reflected on the program in general. “For Hope it’s been fantastic … She’s learned a lot, made a lot of good friends, learned some pretty good skills as far as financials, interviewing and networking…priceless”. He continued by stating that he would like his two younger children to follow their sister’s path and join the Rising Stars program in the future. Kid winners (from left): Grace Sadahiro, first place; Kana Sadahiro, second place. This event, she continued, was a fun activity for the students of the JAPACC, and for all of the parents and friends of the Rising Star members. Derek Toyomitsu and Ryan Chew emcee the program. The Rising Stars Youth Leadership Program thanks all participants, sponsors, and donors for another successful tournament. Focusing on both leadership and cultural awareness, it hopes to continue its work in helping the high school youth of today. The Nikkei Federation is the program sponsor for Rising Stars. For more information, visit our website at www.Nikkeifederation.org. 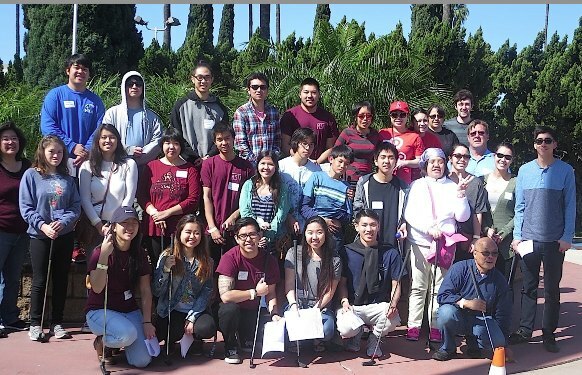 The website is a clearinghouse of information on special events, sports leagues, clubs, language and cultural classes, and social groups involving Southern California’s vibrant and diverse Japanese American community. Rising Stars alumni and Cal State Fullerton students host the JSPACC members. The JACCC is our facility sponsor and has provided ongoing support for the Rising Stars program since its inaugural session. For information about the JACCC and its programs, visit their website at www.JACCC.org. The Rafu Shimpo is the media sponsor and provides media coverage and ad support for the program. Visit www.rafu.com for online coverage of news and events. Ryan Chen is a current sophomore at La Cañada High School. He is on the Rising Stars Publicity Committee and hopes to pursue a career in business or political science. 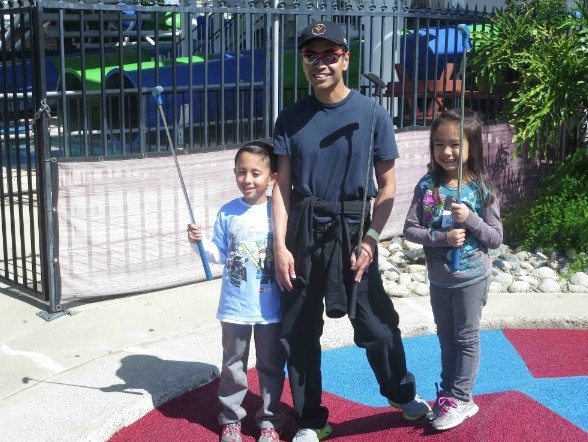 Celebrity golfer James Toma, mayor of West Covina, brought his family. 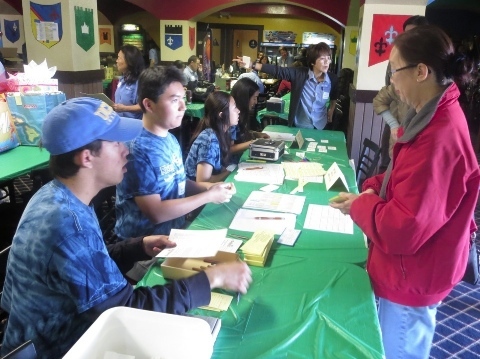 Wyatt Kurumiya, Arthur Matsushita, Jenna Yamada and Alyssa Suzukawa handle registration. The Tadios family supports the Rising Stars tournament.